Kurdistan, an autonomous region in northern Iraq, will hold a referendum on Monday, September 25, calling for full independence from Baghdad. 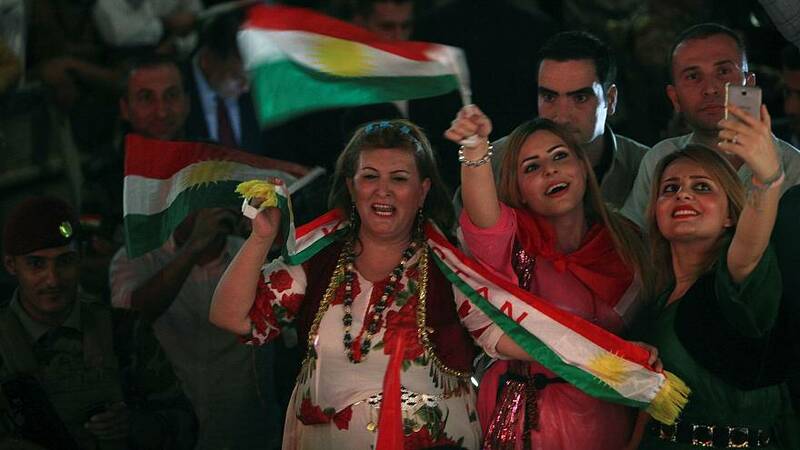 Kurds believe they are worse off as part of Iraq. Experts say the electorate is likely to give the thumbs up to independence and, with lots of neighbouring countries opposing it, this could lead to more instability in a region already plagued by volatility. What claims do Kurds have for a country of their own? Kurds, who have never obtained a permanent nation state, come from a mountainous region straddling the borders of Turkey, Syria, Iraq and Iran. They were given hope around the time of the Treaty of Sevres in 1920 when provision was made for a Kurdish state in the aftermath of World War One. But it was never implemented and Kurds have been waiting ever since. There was a homeland established in what is modern day Iran in 1946 – but the Mahabad Kurdish Republic only lasted 11 months. Kurds in northern Iraq launched an armed struggle in 1961 and fought successive Iraqi governments, most notably Saddam Hussein’s. It was under his regime that a poison-gas attack was unleashed on the Kurdish city of Halabja. When the Kurds rebelled in the aftermath of the Gulf War it was violently repressed and the US imposed a no-fly zone in the north of the country. The protected area became the Kurds’ de facto autonomous region – something that was made official in 2005. Why does Kurdistan want independence? Kurds in northern Iraq already have their own parliament, can pass their own laws and have control of areas like education. So why do they want to go a step further? 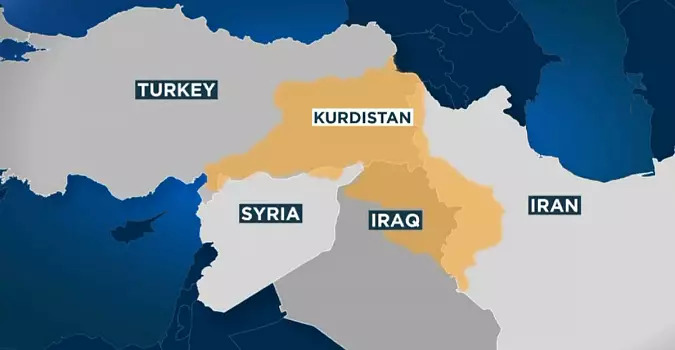 “Kurdistan’s regional government has been frozen for the last two years and the current president has not withdrawn from office even though he was supposed to,” said Dr Zeynep Kaya, research fellow at the London School of Economics’ Middle East Centre. “So there is a bit of a political crisis going on. “Masoud Barzani [president] has lost some degree of credibility, particularly with the economic crisis in Kurdistan. “So pushing for independence and this idea of national unity helps Barzani gain some credibility because he has always been at the forefront of Kurdish independence – his family has been fighting for it for more than a century. “Kurds believe they are worse off as part of Iraq because the Iraqi army has not been able to protect the Kurds and the Yazidis. What do neighbouring countries think? Iraq, Turkey and Iran are all against the referendum. Iraq sees the vote as unconstitutional and a prelude to breaking up the country, while Turkey and Iran fear it will spark independence movements among their own Kurdish populations. The US is also against Kurds’ independence because they don’t want anything to weaken Iraq – one of its key allies in the fighting against ISIL. Israel, meanwhile, is the only country that has voted publicly for an independent Kurdish state in the run-up to the planned referendum. It is thought to be linked to good relations between Kurds and Jews and Israel wanting to stem the influence of Iran and radical Islam. Israeli Prime Minister Benjamin Netanyahu has spoken of “the legitimate efforts of the Kurdish people to reach their own state”. “Given Iran’s presence in the east and instability in the region, a solid, stable, coherent Kurdish entity in the middle of this quagmire is not a bad idea,” General Yair Golan said during an event at the Washington Institute for Near East Policy. Kaya told Euronews it is highly likely Kurds would vote for independence. But, with Iraq vowing to stick to its guns on the vote being unconstitutional, Kurdistan could become a de facto independent state. Yet, while the majority should vote ‘yes’, the poll has widened political divisions. “Nothing has polarised Kurdish society as much as this vote,” said Bahra Saleh, an analyst at the American University of Iraq, Sulaimani. Compounding the stalemate is the economic crisis triggered by Baghdad’s decision to cut funding and compounded by low oil prices and the conflict with Islamic State. The region is billions of dollars in debt and public salaries have been steeply cut since 2014, particularly affecting civil servants, Peshmerga fighters and teachers.